AquaKleen vertical agitating washers provide an economical solution to cellular cleaning. Modularized with electric heating coils the system may be located in any location that has an air and electric supply. 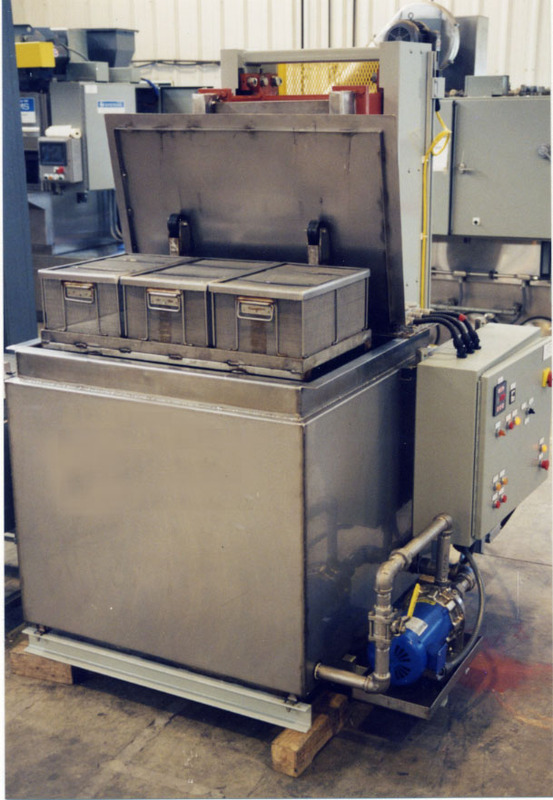 Systems are available with solution turbulation or Ultrasonic agitation if desired. Stainless steel construction is standard. 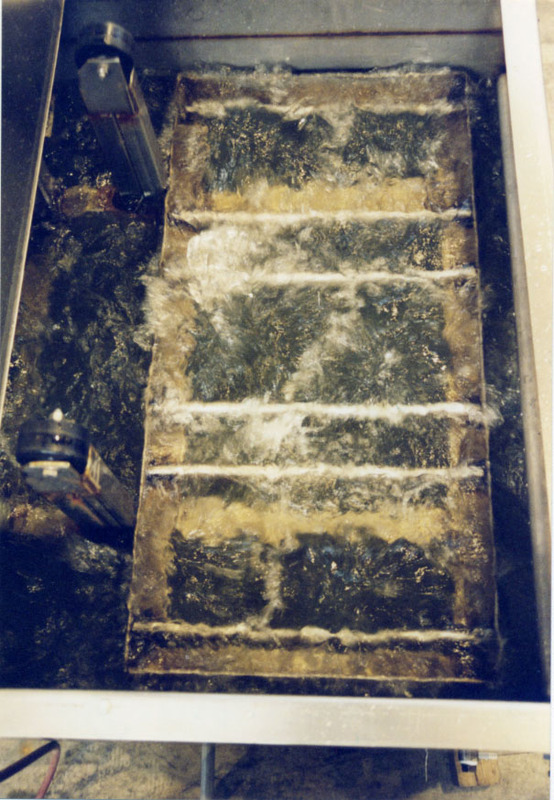 Up and down vertical motion provides vigorous agitation to remove chips, oils, buffing compounds, and greases. Stroke and speed are adjustable to provide aggressive cleaning for difficult parts or gentle action for delicate parts. The platforms are sized to accept standard 12” X 18” baskets. The 18” X 36” platform holds three standard baskets keeping production lots separated for traceability. 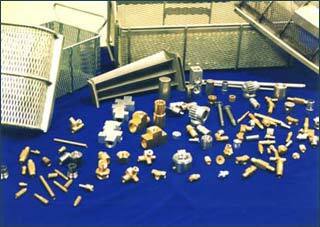 A wide variety of parts may be processed through these systems.